I like that alot. Its super well done and the colors are really great. No cheap ink was used there. I give it a 10 for sure. I'm a newer artist and would love some feedback. Thanks. 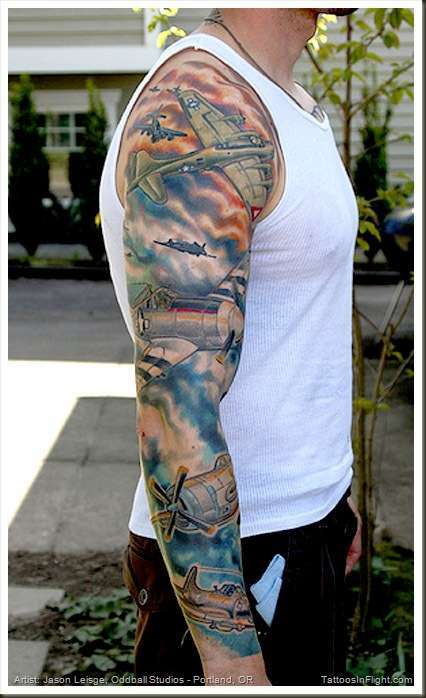 One of the most original sleeves I've seen and beautifully executed.